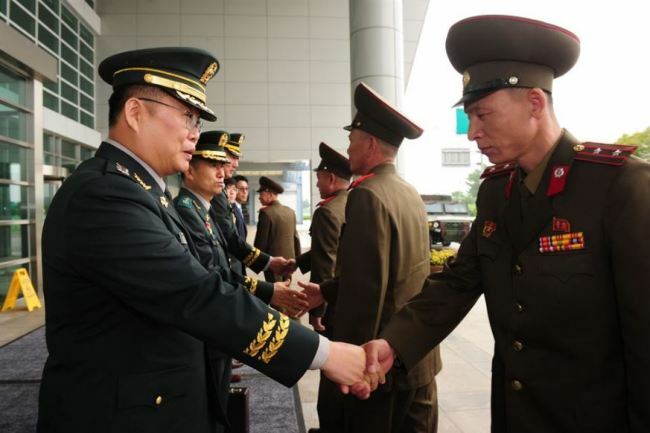 The two Koreas will hold working-level military talks this week to discuss measures to reduce tensions on the border, Seoul's defense ministry said Tuesday. The colonels' talks scheduled for Thursday will follow up on a tentative agreement reached at a July 31 general-level meeting on issues that include the proposed joint excavation of war remains in the Demilitarized Zone, withdrawal of guard posts from the DMZ on a trial basis and disarmament of the Joint Security Area, a ministry official said. They are expected to fine-tune the military agenda for the upcoming summit between President Moon Jae-in and North Korean leader Kim Jong-un. Moon plans to visit Pyongyang from Sept. 18-20.